You can deposit the price of your purchase to the following account of our company and send us an e-mail or fax the proof of the deposit. On the proof of deposit, it is necessary to Indicate your full name. As soon as you inform us about the deposit, we will send you the order. 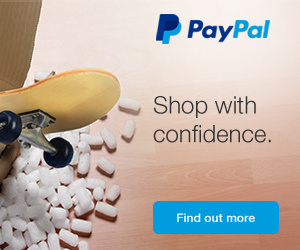 You can complete your purchase online using the reliable network of PayPal. For any clarification, please do not hesitate to contact us via e-mail. We will be happy to answer to your questions.